The Indian Chinese Association: M I S S I N G !!! M I S S I N G !!! Kolkata’s love affair with Chinese food begins at daybreak. 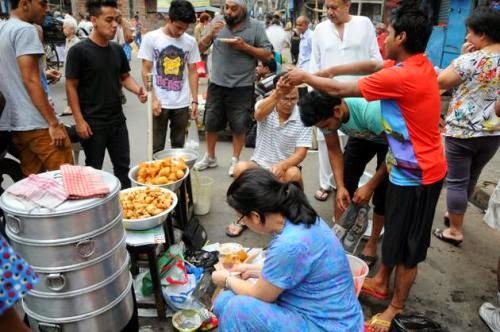 In a lane near the Lal Bazar police station, a group of Chinese hawkers sit by the wayside, keeping their pork momos, chicken sausages and prawn wafers warm in steel steamers. Known to loyal customers as the famed Chinese breakfast, the food sells rapidly. By 8am, the vendors have all but disappeared. For the rest of the day, it is hard to find a significant Chinese imprint in an area still referred to as the city’s Old Chinatown. Thomas Chen, a 36-year-old mechanical engineer, grew up here in Tiretta Bazar. When he walks around the neighbourhood today, he is often left asking — where have all my people gone? Tom Lai’s family had moved out of Tiretta Bazar in the 1950s, but he remembers that in his grandmother’s time, even the large backyard and living room of their Park Street house would witness several impromptu parties. “Fifty or 70 people would suddenly land up. We’d cook noodles, rice and momos together. It would be a community feast. 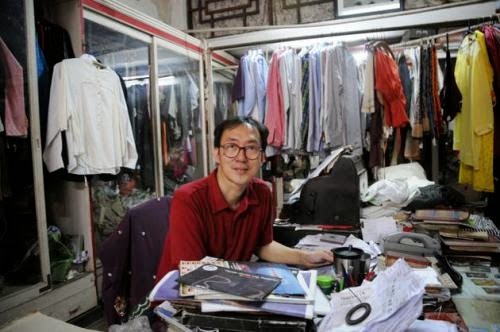 Now I meet someone Chinese once a month, maybe two,” says Lai, a designer of retail spaces in the city. Lai’s revelation should come as no surprise. There just aren’t enough Indians of Chinese origin left to party with or even meet. From 50,000-strong in 1960, Kolkata’s Indian-Chinese community shrank to less than 10,000 in the early 2000s. While some optimistic members of the community prefer to believe that they still number 3,500-4,000 in the city, official estimates in 2013 revealed that the number might be closer to 2,000. Though this drop in numbers calls for a closer examination, it is first an occasion for nostalgia. 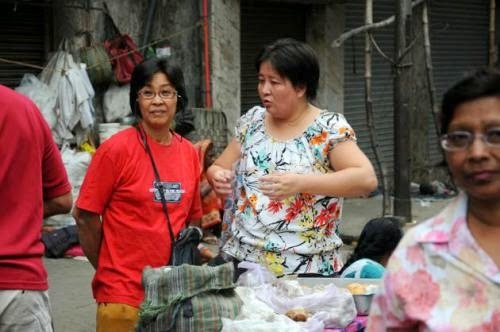 Rita Chen, 60, has witnessed the slow erasure of Chinese influence from Kolkata. 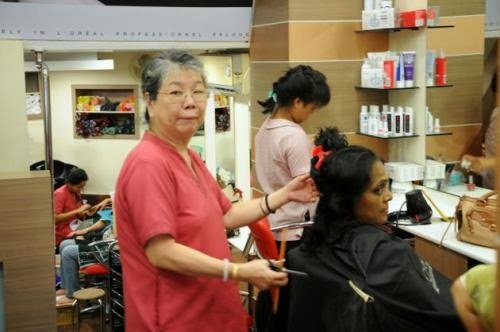 A hairdresser for 45 years, she talks of the numerous Chinese-owned salons of the past. Once the preferred destination for many a Kolkata woman looking for a bouffant and a bob, only a handful of the parlours remain. Chen remembers the sumptuous food served at the legendary Nanking restaurant. A favourite haunt of Bollywood stars such as Raj Kapoor and Dilip Kumar, Nanking was forced to shut shop in the late 1970s after a bitter property dispute. Bentinck Street, she recalls, had an unending row of Chinese shoe shops. Just a quarter of these are now in business. “They have all settled abroad,” she explains. 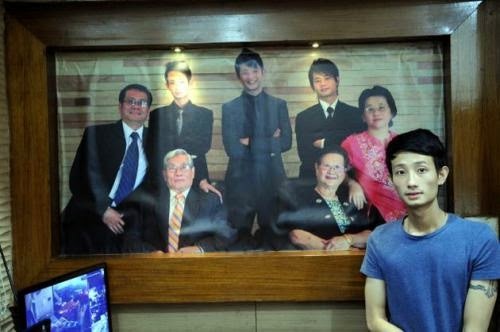 There are many families like Chen’s in Kolkata. Straddling two disparate worlds, they all mention waits in visa offices that last weeks and queues in passport offices that stretch for months. 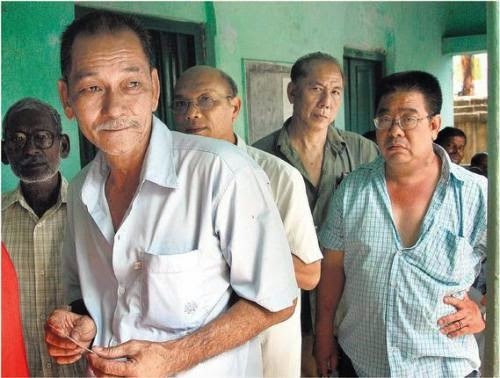 If one is to collectively consider their accounts, it might be fair to assume that the narrative of Kolkata’s Indian-Chinese community is that of immigration gone wrong. The steady exodus only proves that for this minority, seamless integration has always proved a distant dream. Discrimination, lack of opportunity and unfavourable circumstances are just some of the varied reasons cited by those boarding the next plane out, but they all agree — there’s no running away from history. With each passing decade, the number of Chinese migrant workers in Calcutta began to rise. But much like Tong Achi’s original crew, says Chung, “those coming in never came here to stay. They came here to earn money and return.” The year 1949 changed all that. As the Communist Party of China established the People’s Republic, it became clear that no warm homecoming awaited those who had been lured by jobs overseas. “That’s the day we lost our motherland,” laments Chung. Families that would strictly insist upon the use of Mandarin and Cantonese at home began to send their children to English-medium schools. Calcutta’s Chinese community might have even mastered adaptation if it weren’t for October 1962, a date that saw India go to war with China. Monica’s life is, in many ways, a tale of dogged perseverance. From not having enough money for airfare, she now owns six restaurants and a beauty parlour. On the walls of her office hang pictures of her hobnobbing with the late former chief minister Jyoti Basu and Mother Teresa. Ordering the staff at her Tangra restaurant, Monica says the “empire” she has created should be reason enough for her children to stay put. But not everyone from the area is quite as fortunate. After having suffered prejudice even keener than the one described by Chung, Jimmy Leong felt that flight was a better option than fight. The 31-year-old says that while growing up, leaving Chinatown was always a cause for discomfort. “Outside that comfort zone, I was stereotyped as either North-eastern or Nepalese. Children and adults would tease me and say that I ate cockroaches.” He remembers people mocking his features, his “chinky” eyes and his flat nose. The ridicule, he says, “always made me feel that I didn’t belong and that I should move away as fast as I could.” Jimmy left Kolkata when he was 19, first going to Mumbai, then Taiwan — “I had always wanted to be in a place where there are people who looked like me” — and seeing that many members of his Indian-Hakka community were moving to Toronto, he finally decided to settle in Canada. Working as an auto claims adjuster for an insurance company, Jimmy, a permanent Canadian resident, speaks fondly of a Hakka Chinese community that might have its roots in Kolkata but now flourishes in Toronto. 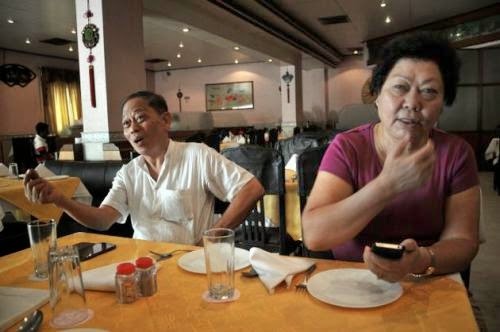 Over a series of emails, he talks of the several Hakka restaurants in nearby neighbourhoods and of retired Chinese citizens who gather to gossip about the young. The community has also been catalogued in a phone directory and the guest lists for weddings are said to now far exceed similar occasions in distant Kolkata. Toronto, it would seem, is the new Tangra. No amount of travel, it seems, can help members of the Indian-Chinese community escape the contradictions of their dual heritage. Fiona Leong left Kolkata for Scotland in 2010. After successfully pursuing a Master’s degree, she worked as a financial advisor with a bank in Aberdeen for two years. When people would ask where she was from, they weren’t satisfied when she said India. Their confusion would only deepen when she spoke Chinese. This “identity crisis”, she says, “was the biggest disadvantage of moving overseas.” Dressed in a sky-blue salwar kameez, 25-year-old Fiona says she returned to Kolkata after three years because she needed to be with her parents and sister. “At some level, I always knew I’d come back to be with my family,” she says. Nice documentation & updates of the Hakka community in Kolkatta. Good job Paul! There is one particular photo that caught my eye. I recognized a familiar face and gotta ask my friend. Hohoho those old days!! 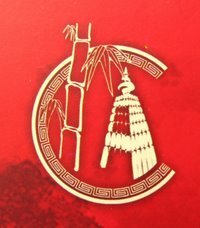 Hi, I am looking for the Chen family that ran a small restaurant on Clyde Road, Hastings in the 60's. There were 10 kids - the youngest being Janet, Jean, Jo-Jo and Edward and I think, Nicole? ur defence forces officers quarters at clyde road hastings.just like surekha misra[she is also known to me, hi how are u, ] i am looking my friends edward,david albert ,and afcourse their sisters janet and jean chen. Get daily ideas and methods for generating THOUSANDS OF DOLLARS per day ONLINE for FREE.